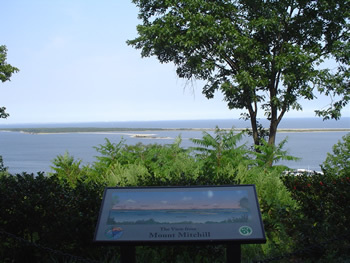 At 266 feet, this overlook in Atlantic Highlands sits on the highest natural elevation on the Atlantic seaboard (excluding islands) from Maine to the Yucatan providing beautiful views of Sandy Hook, Sandy Hook Bay, Raritan Bay and the New York skyline. 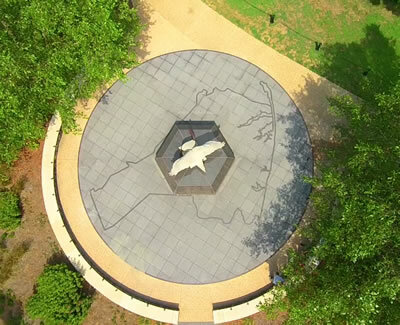 This 12-acre site is also home to Monmouth County's 9/11 Memorial. Monmouth County's 9/11 Memorial is a tribute to 147 men and women who lost their lives in the terrorist attacks of September 11, 2001-- men and women born, raised, or residing at the time in Monmouth County. 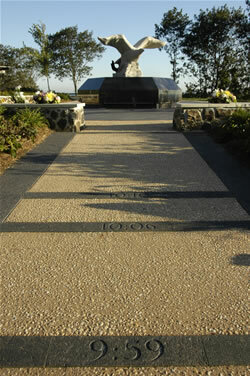 The path leading to the memorial chronicles the 9/11 events. A table of black granite lists the names, ages, and towns of those 147 individuals who were lost. 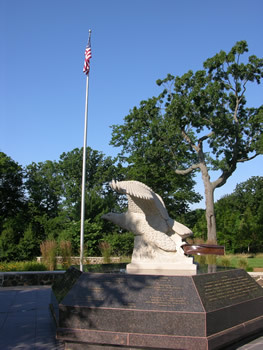 At the center, a light stone sculpture by local artist Franco Minervini of an eagle “ascends to a better world.” The eagle has in its grasp a beam from the World Trade Center. 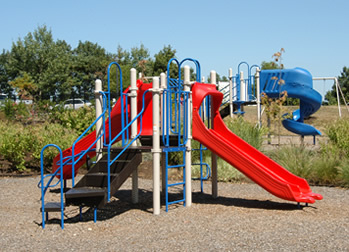 If you would like to make a donation to the memorial maintenance fund, call 732-975-9735.